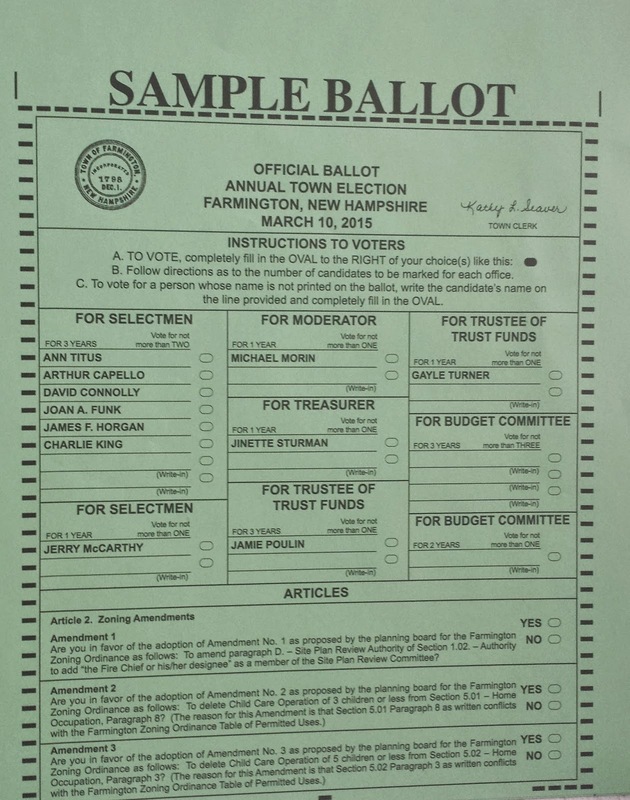 To the Inhabitants of the Town of Farmington in the County of Strafford qualified to vote in Town affairs. 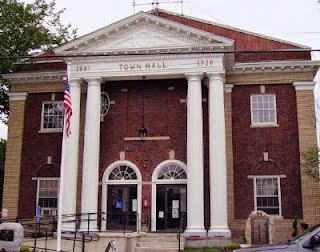 You are hereby notified to meet at Town Hall in said Town of Farmington on Tuesday, the tenth day of March 2015 (03/10/2015), at eight o’clock in the forenoon (8:00AM) to cast your ballot for Town Officers and for questions required by law to be on the ballot. Polls will close no earlier than seven o’clock in the evening (7:00PM). The remainder of the Warrant will be acted upon beginning at seven o’clock in the evening (7:00PM), Wednesday, the eleventh day of March 2015 (3/11/2015).